Have you ever wondered how to begin to heal your broken heart when you feel like your world has come to an end? Perhaps a lover betrayed you or someone dear to you has passed away before their time. The loss of a beloved pet companion can leave you heart broken too. 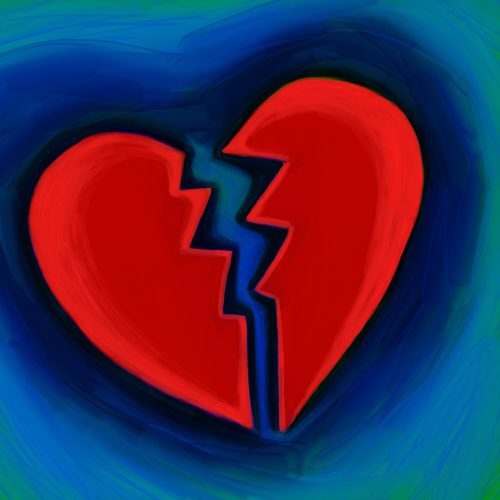 A heartbreak can hurt more than a physical injury or loss of a limb–it can shake us to our very core. Our reality as we understood it may not have been reality at all. None of us are immune from heartbreak and it seems like an inevitable initiation into becoming a fully human being. Without the experience of our own heart break, can we really be fully compassionate human being? Targeted meditation (see below) is one way to naturally help with the emotional aftermath of a broken heart, and hopefully deter addictive behaviors that offer very temporary relief. To begin to heal the wounding of a broken heart, whether recent or unresolved from the past, we need to bring a sense of calm to our nerves that hold the wound rather than numb the pain. Whether the break in a relationship was with someone we love or with yourself, the trauma can linger in your physical body. 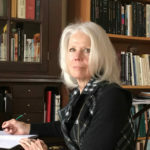 We break our relationship with ourselves when we do not honor who we truly are by betraying our core values. Core values are the inborn values generated by our hearts. Mudra: Palms together with the tips of the Saturn (middle) fingers at the level of the Third Eye point. Breath: Just breathe naturally and with awareness. Time: 11-Minutes (build up to 31 or 62 minutes, if desired). Found on page 82 of I Am a Woman: Creative, Sacred, & Invincible Manual, and it’s not just for women! A simple Kundalini Yoga Meditation can help heal a broken heart if you relax into it. The autonomic nervous system (fight/flight & rest/digest branches) will relax as your breath automatically moves towards a meditative flow to rejuvenate your heart and mind. It’s difficult to get through life without experiencing the pain of a broken heart, it’s typically something that’s simply outside of our control. Even if we choose a relationship partner, it’s important to remember that there are so many unconscious factors outside our awareness. As our awareness grows, so does the quality of choices we make for ourselves. We must be gentle with ourselves. 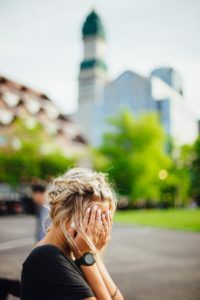 Without the break, break down, or break up, our egos don’t have a chance to be put in check or feel the intensity of being completely vulnerable. 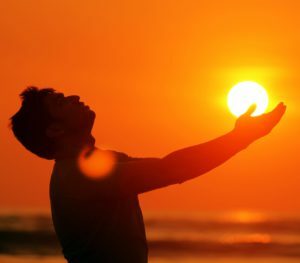 What feels so painful and all consuming on one hand can actually serve as a portal to greater awakening. No one wants a broken heart, but there may be a silver lining. Another great 11Minute Med to heal a broken heart if the Meditation for a Calm Heart. I have used natural organic Ayurvedic herbal formulas to help keep my emotions in check, including Stress Free Emotions by VPK Maharishi Ayurveda. This formula was handed down from generation to generation in India, which is important because the herbs work together synergistically. Arjuna is the first ingredient in the blend, and the herb is named after the great warrior Arjuna from the Indian epic, the Maharabhata. When a wave of heart acre comes on you can also visualize Arjuna and his Higher Self, Vishnu, to guide to protect you. Stress Free Emotions is an excellent choice if you’re feeling anger around your heart break. 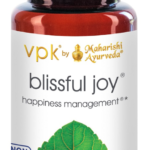 Blissful Joy is another good choice formulated and produced by VPK to help heal from a broken heart naturally. The top three ingredients are ashwagandha, arjuna & amla. Ashwagandha is an “adaptogen” and helps your body cope with the stress of heart break as well as many other benefits. Amla is a hridya, an herb that nurtures the heart, blood and circulation (if you have a heart condition, you should check with a medical doctor before using Amla). The late Leonard Cohen reminds us in his soulful and poetic song, Anthem, that everything contains a break or crack, and that’s where the light gets in. The chorus has age old insight that can help a broken heart. The poet’s words ring true and our wounded egos can either hold on to the pain, or surrender to situation as it really is rather than the way we would like it to be. If you were rejected or otherwise “left” it might be for the best, however, the ego can feel bruised if it wasn’t your idea. Sometimes a heartbreak involves wounded pride, sometimes fate steps in and changes, or ends, the life of loved one. Heartbreak changes everything, and often we feel so alone in our pain with no place left to hide. In the peak of our emotional intensity, the light gets in through the break and consciousness expands. When an organ is injured, including the heart, it has the potential to release a “spark of consciousness,” as James Hillman (1926-2011) explains it (Hillman, 1997, p. 162). Considered the Father of Archetypal Psychology, and trained in the lineage of Jungian psychology, Hillman was well versed in the wisdom of the heart and the psychology of the human soma. The most important relationship we can have is, first and foremost, the relationship we have with our own self. Our relationship with self begins with compassionate and non-judgemental self-talk. Do you let the inner critic run wild with self deprecating remarks or do you pause, breath, and center yourself? Meditation can help, naturally and without addictive substances. Disclaimer: please consult your health care provider before taking herbal supplements or practicing yoga and/or meditation. No medical claims are intended as the information provided here is based an ancient Wisdom traditions and their sources of tending to the mind-body. Disclosure: the links provided are affiliate links, which means that should you purchase a product that I discuss I will receive a small commission. Your price stays the same. I have personally researched all the products that I recommend.